I posted this on another site but thought I would post it here too as it is the same sending unit as the 71 to 73 Mach 1's. I filled up my tank a couple of days ago in my 73 Convertible and noticed a fuel odor in my garage the next day. 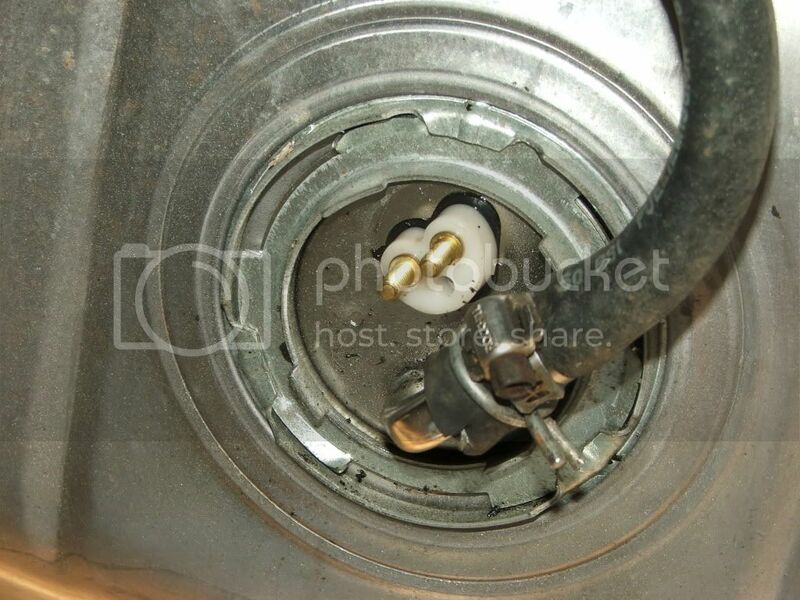 I checked under the car and noticed some drips of gas under the gas tank and fuel sending unit. I replaced the fuel tank and sending unit back in 2005 and used one of the spring tension hose clamps (like stock original) and it appeared the hose was leaking so I added a worm type hose clamp. The next day I checked it again and was still leaking. After looking closer it appeared the gas was coming out of the electric terminal boot that presses onto the sending unit. After counting my blessings that the gas was not ignited by a spark in the terminal, I disconnected the battery and removed the boot and sure enough fuel was leaking around the black gasket area of the terminals. So I drained the tank with a hand siphon pump and will be ordering another sending unit. I need to double check where I bought it and give them a call to see if they have had any similar reports. Although the tank and unit has been on the car about 6 years I doubt if I have driven it more than 1,200 miles. So if you have replaced your fuel sending unit with a reproduction you should check it out to make sure there is no leak into the terminal boot! 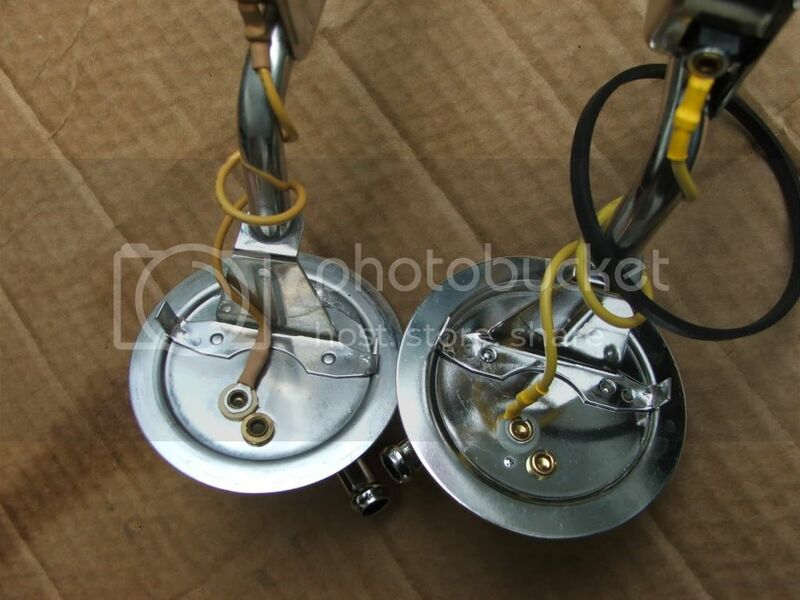 I had already wiped the drip off the terminal lead in the picture, but you can see the black gasket is damp from gas! (05-11-2011, 10:27 AM)Mach 1 Club Wrote: [ -> ] Wow good tip! Thanks! It's scary to think that the electric current was passing through the gas on the terminals. I'm not an electrician, but I would think that is dangerous. I guess there was not a spark as such and therefore no explosion. I think I stopped and started the car about 5 or 6 times after filling up with gas, so I do feel lucky! I called CJ Pony parts where I bought it and talked to Shawn, but Shawn did not know if the sending unit had been redesigned. 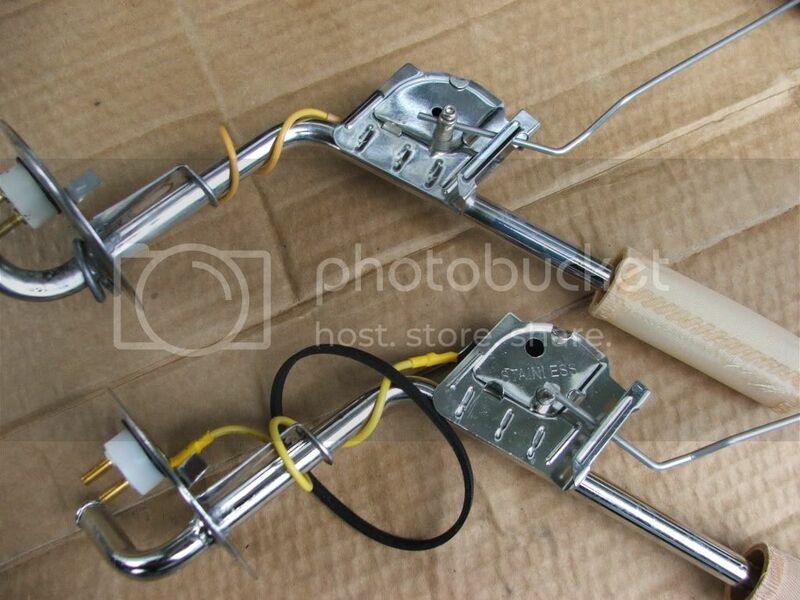 The one in the picture also has the outlet tube in the wrong direction. He offered to order one and check the design, but was clueless otherwise. I decided to give the one at Ohio Mustang a try with the brass float. As I mentioned in my first post I installed it over 5 years ago, so I did not ask about returning it. Is the new unit from Don a stainless steel unit? My friend has just gone through the same experience with his 72 hardtop. He bought a new sender unit but it would not fit properly and would leak. This one looks similar to the one he got. He said on his original sender the pipe on his went off in the 10 o'clock direction instead of 2 o'clock direction. 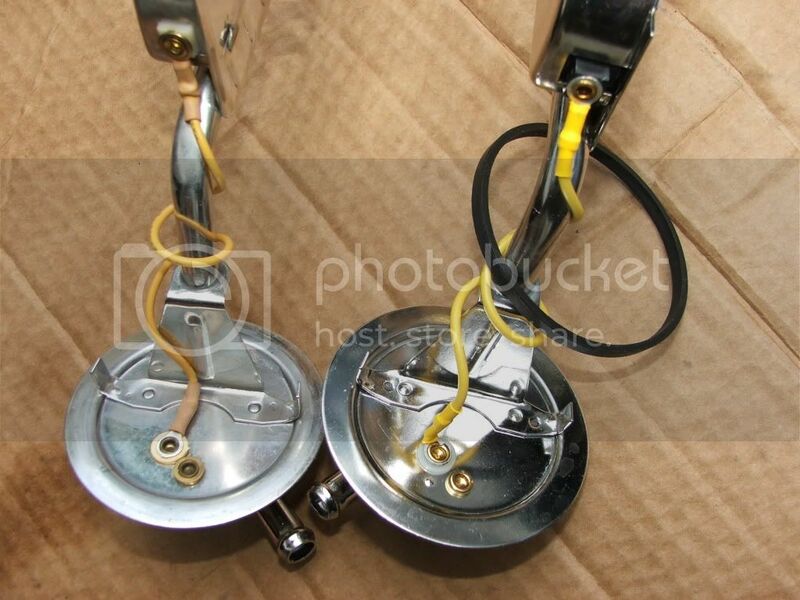 He also said that the one in the photo may not have been tightened all the way and may be leaking from above the electrical connector. It is meant to go all the way till the locking tabs touch the stop. He also had trouble with the o-ring that was supplied. It was a square section and not round. (05-12-2011, 06:29 AM)Steven Harris Wrote: [ -> ] Is the new unit from Don a stainless steel unit? The listing did not say if it was stainless steel, but he had two types and I ordered the more expensive one with the brass float. I bought the sending unit as part of a complete gas tank kit that came with the tank, new retaining ring, gasket, etc. At the time I believe it was the only one they offered so the sending unit probably is one of the cheapo ones. I believe the gas tank itself was made in the good ole USA. I received the new sending unit from Don at Ohio Mustang yesterday (Monday) -- fast shipping! I installed it today with little effort. 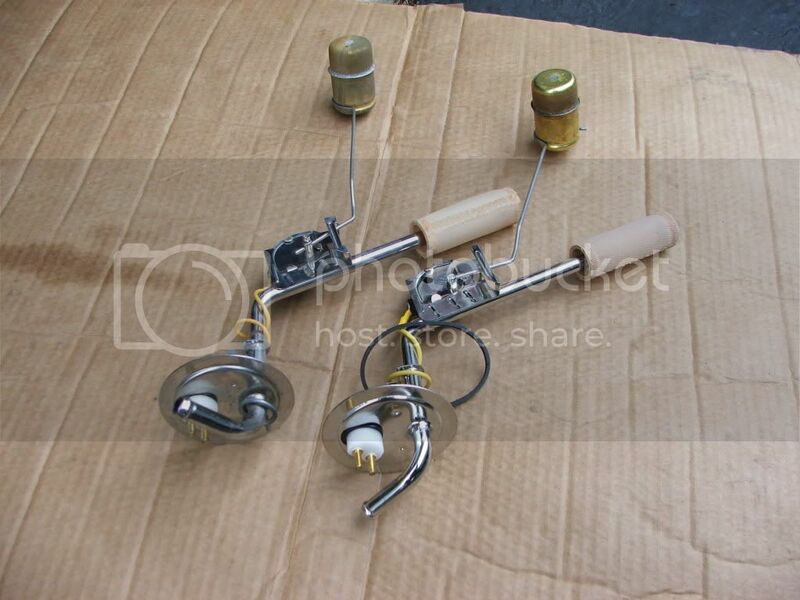 Here are a couple of pictures showing the one I bought from CJ Pony parts back in 2005 that leaked around the electric connectors, has the tube in the wrong position and the new one from OMS. 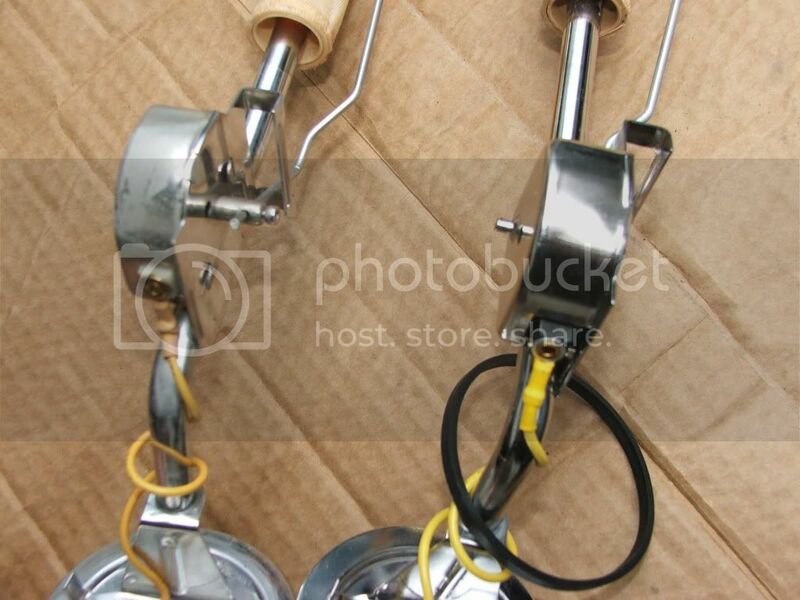 The new one is stamped "stainless" and the rod from the float does not extend past the pivot point. The yellow wire connector protrudes out on the new one, but otherwise they look similar. Both have the brass float. After installing the sending unit and before adding gas back into the tank I turned the ignition switch on to see where the fuel gage needle would point with an empty tank. It is barely touching the lowest point on the empty line. So now I'll know when to start worrying about running out of gas. Also a good pointer is to put white grease on the rubber seal to hold it in place while inserting the new sending unit.